Tung style acupuncture, founded by renowned Taiwanese practitioner, Master Tung Ching Chang, is a system of acupuncture known for its rapid, immediate clinical effects upon needle insertion. Dr. Robert Chu, an experienced practitioner of Master Tung’s Acupuncture, specializes in the painless acupuncture method. He shares in this course, treatments for pain using Master Tung’s points and herbal prescriptions, and provides students and practitioners with the point locations and indications of Master Tung’s Essential Acupuncture as well as specific single herbs and formulas for various pain locations. Learn Tung’s Acupuncture system to increase your clinical efficacy and improve your treatment protocols. 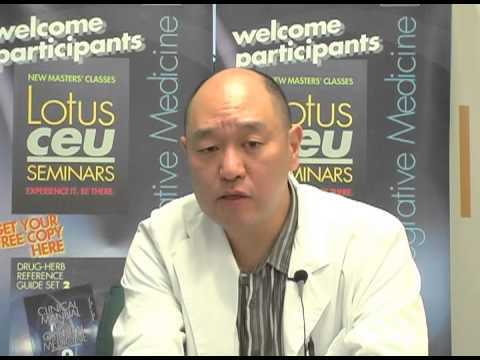 Dr. Chu shares proven clinical procedures for pain in various locations of the body. Expand your range of treatment options and enhance treatment results! Submitted by ccarlsonatcap on Wed, 08/15/2012 - 4:41pm. Submitted by lisawalkerlac@s... on Wed, 08/15/2012 - 3:31pm. Submitted by Alex Shpigel on Wed, 08/15/2012 - 3:26pm. I dont see a coupon code. Submitted by pahwa on Wed, 08/15/2012 - 1:27pm. Submitted by jimojo on Wed, 08/15/2012 - 12:57pm. Submitted by coastacu on Wed, 08/15/2012 - 12:49pm. Where do I put coupon code? Submitted by elkhoury on Wed, 08/15/2012 - 12:05pm. Submitted by Kleencampbell (not verified) on Wed, 08/15/2012 - 11:44am. There is no place to put coupon code!